UniversalTis the season to ignore your kids. There are a lot of neglectful and thoughtless parents in Christmas movies. Films like “Home Alone,” “Jack Frost,” and “The Grinch” are some prime examples of not-so-great parents in Christmas movies. More often than not, Christmas movies are thought to be full of merriment. But there’s one concerning trend in many Christmas movies: The parents are usually pretty terrible. There are five different “Home Alone” movies. Five of them! How many times can a set of parents forget about their child over the holidays? But it’s not just the McCallister parents – a significant number of parents in Christmas movies neglect their children, are irritated by their presence, and are just generally oblivious to their existence and emotional needs. 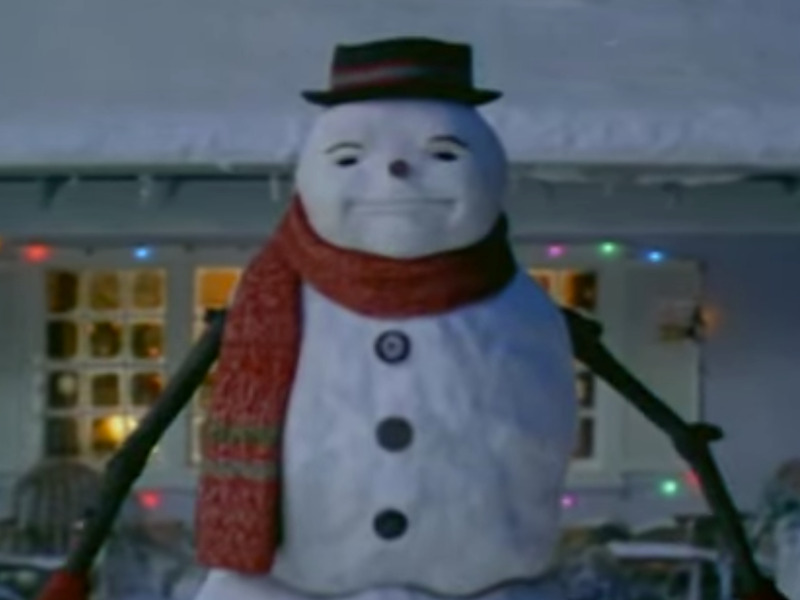 One of the user reviews for “Jack Frost” on IMDB is titled,“a snowdad is better than no dad,” but I respectfully disagree. For those unfamiliar with “Jack Frost,” imagine this: You’re Charlie, you’re 11 years old, and your deceased musician father Jack Frost (yes this is really his name), who you hardly saw when he was alive because he was always going to “gigs,” comes back to life as a snowman who vaguely looks like Seth McFarlane, a year after his death. Is this a joyful reunion, or something you will undoubtedly need to spend years in therapy recounting and working through? Sure, it isn’t really Jack’s fault that he is brought back to life, it’s the fault of terrible, terrible magic. But still, maybe pursuing a relationship with your son when you’re essentially a ghost trapped in a snowman’s body is the wrong move? Maybe as a parent, you should just consider the potential trauma this would cause, be a grown up, and not haunt your son. 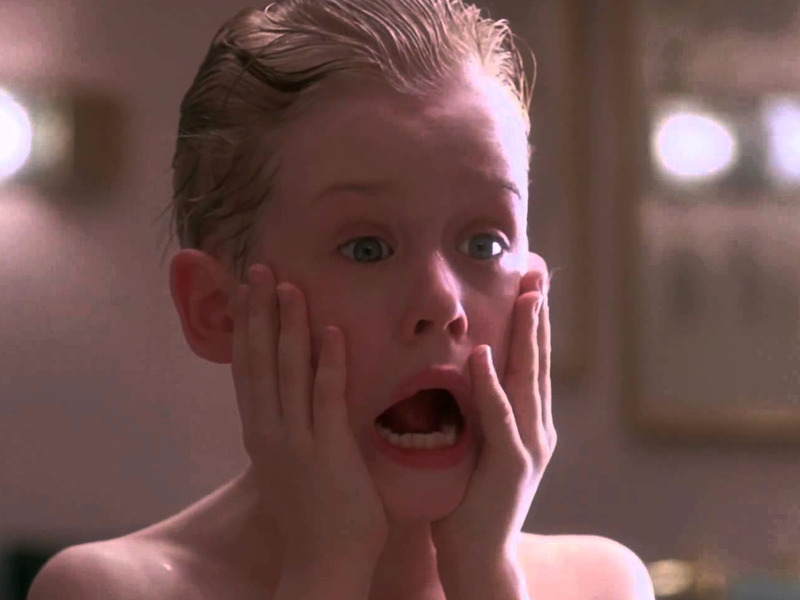 The premise of “Home Alone” and every “Home Alone” that has followed is pretty straight forward: A child, (Macaulay Culkin’s Kevin McCallister in the first two movies) is forgotten at home while his family goes on vacation. Everyone knows the story of Dr. Seuss’s Grinch. The cranky curmudgeonly hermit, who lives on a mountain top with his dog, expresses his disdain for Christmas by trying to rob it from those who love it most. It’s easy to see why the Grinch is such an unlovable character. 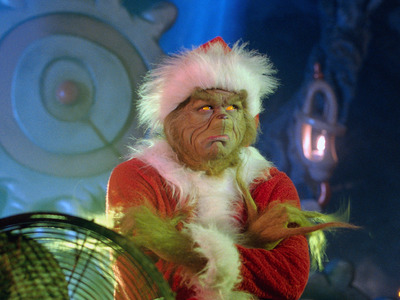 But in the 2000 Christmas classic “The Grinch” starring Jim Carrey, the past of the most loathsome Christmas villain since Scrooge is elucidated: The Grinch was frequently bullied for his appearance (namely his green complexion and abundance of hair) by the other children in town. During a Christmas gift exchange at school, the Grinch tries to bequeath his crush Martha May with a homemade gift, an angel made out of cutlery and precious gems he stole from his guardians. He tries to give her his gift with a paper bag over his head, ashamed of his botched attempt to shave his beard. His teacher forces him to show his face to the rest of his classmates, and he is mocked mercilessly. 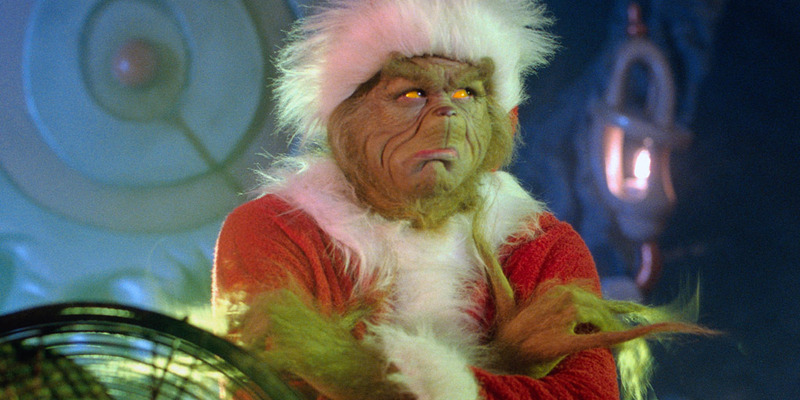 As a direct result of his bullying at the gift exchange, he leaves the town of Whoville and goes to live on Mount Crumpit alone, at the age of eight. Literally no one comes to find him or coerce him off of the mountain. No one! His guardians are disturbingly fine with his absence from their lives, and no one questions their parenting skills whatsoever. Clearly Whoville suffers from a lack of concerned parents, or social workers. Most people are aware that waiting until Christmas Eve to buy Christmas presents is not the best move – especially when the present you want is a wildly popular toy. 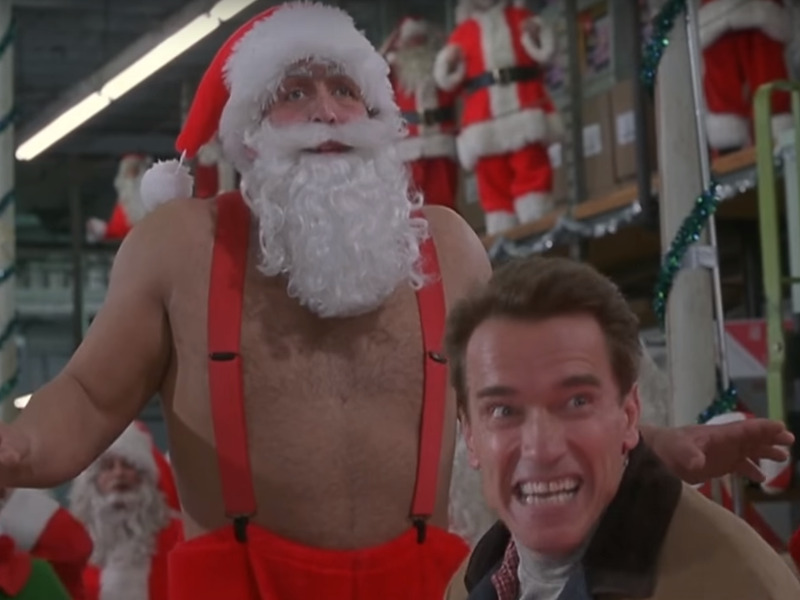 But that doesn’t keep Howard Langston from doing just that in “Jingle All the Way.” Overworked at his job selling mattresses, Howard misses his son Jaime’s karate graduation. To make up for it, he promises to buy his son the Turbo Man action figure. Unfortunately, Howard forgets the promise he made to Jaime until his wife checks to make sure he picked up the Turbo Man action figure. Howard lies to her and says it’s all under control, and runs out to get the toy on Christmas eve. (Classic Howard.) He doesn’t realise the extremely popular action figure is sold out until he visits a toy store on Christmas Eve. At first, the prospect of finding the toy seems impossible, but through a series of random accidents and sheer dumb luck, Howard is able to save the day and bring joy to his son on Christmas day.Howard isn’t a terrible parent, but he’s not really all that tapped into his kid’s life, and we should probably find his irresponsible holiday shopping antics and penchant for lying less amusing. YouTube/DisneyScott and Charlie look upon the scene of the crime. Scott Calvin unintentionally kills Santa Claus in front of his son on Christmas. When Scott hears a thud on his roof, he rushes outside to see what the commotion is – his young son, Charlie, follows. Scott sees there is a strange man on his roof and yells at him (fair), but the stranger gets startled and falls off the roof to his death (less fair). Scott and Charlie quickly realise that the stranger Scott killed is none other than Santa Claus. This makes for a dark and unfortunate twist in the already disappointing evening Scott and his son had, which included an awkward handoff of Charlie to Scott’s ex-wife Laura, and a trip to a Denny’s after Scott accidentally sets their Christmas dinner on fire. After Santa falls off the roof, Scott finds a small business card that instructs him to don Santa’s festive winter garb. Scott does as he’s instructed, but effectively becomes Santa Claus in the process. The fact is, though, Scott basically killed a man on his roof in front of his son – and this is never addressed. 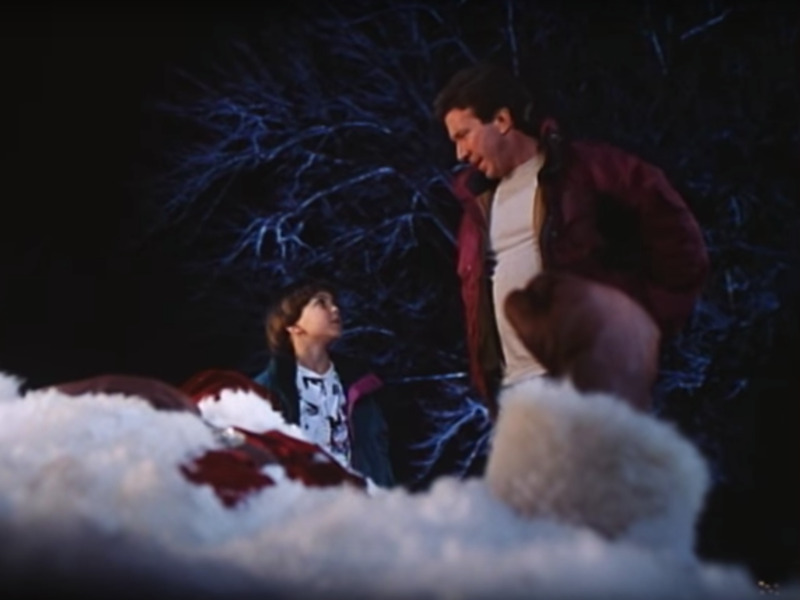 Everyone should be upset by Santa’s death: He was a family man, and a job provider to many in the barren frozen wasteland that is the North Pole. But I digress. More problematic than Scott’s implication in Santa’s death is Laura’s anger towards Scott, and his encouraging Charlie to believe in Santa Claus (who now happens to be Scott). Laura and Neil, Charlie’s stepfather, are obsessed with convincing Charlie not to trust his father when he says he’s Santa, and decide to revoke Scott’s visitation rights. Later, a distressed Scott comes to Laura and Neil to ask if he can speak with Charlie for a moment, and then disappears with him. The bold violation of Laura’s wishes is almost as bad as Laura’s revocation of his rights to visit his son just because he is Santa now – she should be revoking them because he killed Santa, but whatever, do what you must Laura. Everyone has a lot of unresolved issues with one another, and it’s probably unhealthy for Charlie to be around these adults. It’s also unclear if the dismissal of Scott’s hand in Santa’s death will end up having severe traumatic effects on Charlie later on.